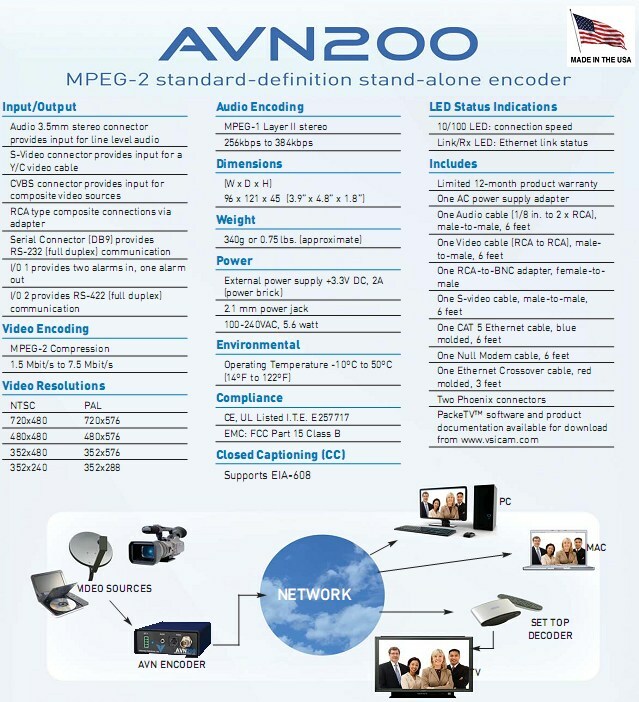 AVN200 IPTV stand-alone encoder can turn video from any composite or S-video source into full-screen, full resolution Internet Protocol digital video in real time. 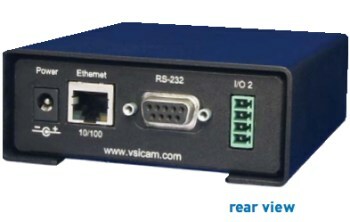 either 256 or 384 kbps with a 48 KHz sample rate. 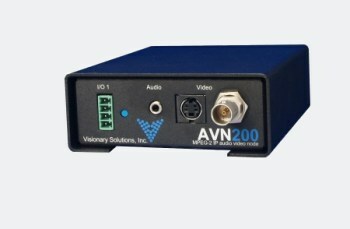 The AVN200 includes an RS-232 serial connector (full duplex) as well as two I/0 connections: a 2 alarm in, one alarm out, and an RS-422 full duplex connection, allowing the AVN200 to interface with a variety of external devices, such as Pan/Tilt/ Zoom (PTZ) cameras.